Wave Energy, like wind and solar, has its origin in the free renewable energy continuously received from the sun. Wave energy is unique because it is the most concentrated form of renewable energy on earth, with power density much higher than that of wind and solar energy. Not to mention, it is also more predictable and consistent than wind or solar. Sea states can be accurately predicted 48 to 72 hours in advance, while accurate wind forecasts rarely are available more than 5-7 hours ahead. Waves are created when wind moves over the ocean surface. Even small ripples on the ocean surface give the wind an opportunity to off load some of its energy onto the waves, causing the waves to grow bigger as the wind impacts it over long distances (called a fetch). The longer the fetch and the stronger the wind, the bigger the waves. As waves can travel for hundreds and even thousands of kilometers with virtually no loss of energy, they act as an energy reservoir charged by the wind. The wind in turn is created when the sun heats the surface of the earth unevenly, creating air movement. It moves first vertically when hot air rises up and when a void is created from the rising air, more air fills the empty space in a horizontal motion – creating what we call wind. In each step, the energy becomes more and more concentrated – first when the sun’s rays heat the ground and second when the hot ground creates the wind. 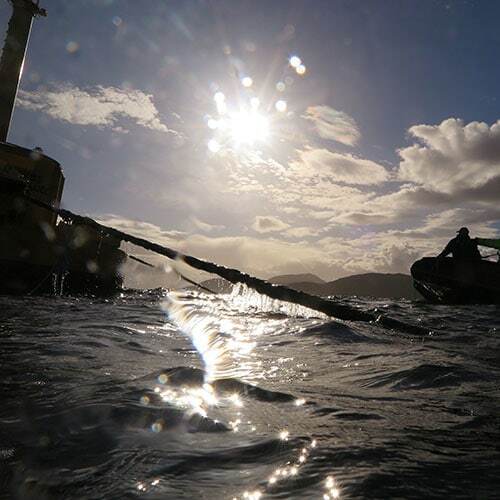 Finally, when the wind creates the waves, the converted solar energy reaches its most concentrated state. 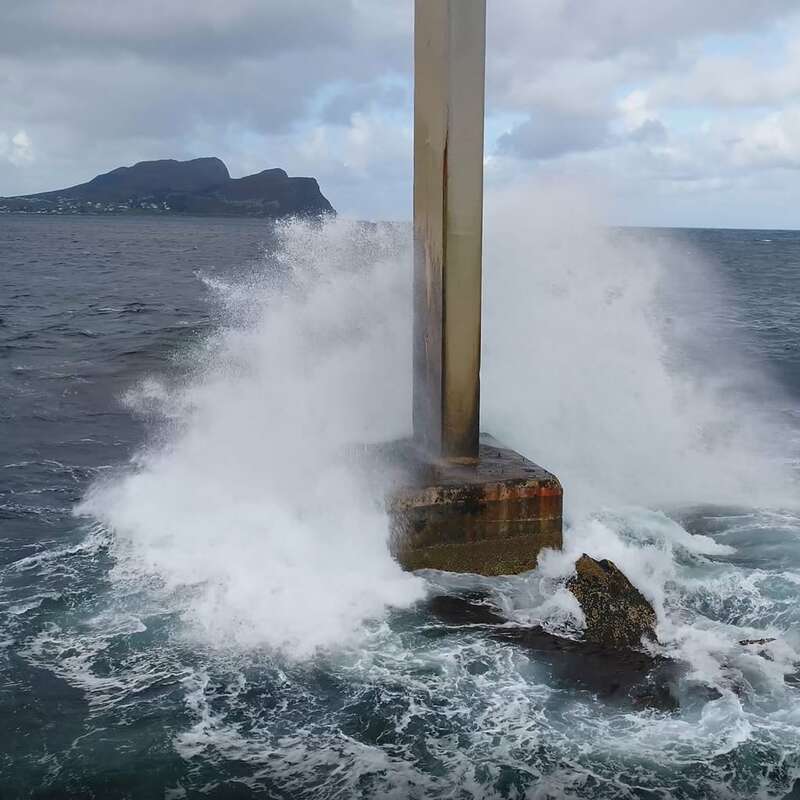 Along coastlines – particularly on the west coasts of continents – if the site is exposed to a long fetch without any land sheltering it, the wave energy may be several orders of magnitude more concentrated then the initial rays from the sun. It is this stored renewable energy that Waves4Power is harnessing with the WaveEL buoy. The Waves4Power system is placed in deep water where the ocean “battery” is more fully charged. The power is reduced as the wave moves closer to shore, due to friction between the waves and the sea bottom. With 2/3 of the earth’s surface covered in water, ocean waves represent our planet’s last untapped natural renewable energy resource. The waves hold tremendous amounts of energy – we only need to tap into it. According to the IEA-OES, Annual report in 2007, it is estimated that 80,000TWh of electricity per year can potentially be captured from ocean waves – sufficient to meet our global energy demand five times over. If we can use only a minor part of this potential, it would be a great leap for mankind, especially considering that the vast majority of the world population lives in close proximity to coastlines. Waves are not created equal along all coastlines. The combination of the Earth’s rotation and prevailing winds from the west means that regions with high wave energy resources are typically located along the western coasts of the continents. This is especially true of locations where the trade winds act – above latitude 40 degrees north and below about 25 degrees south – and where the waves can travel without any obstacles for thousands of nautical miles. Wave climates close to the equator are normally not the most cost effective. The potential for efficient wave power utilization around the globe is high, with many wave-power rich areas of the world close to large population concentrations including Scotland, Ireland, Norway, France, Spain, and Portugal. In North America; Canada, the US West coast and Hawaii have ideal steady wave climates and in South America, Chile in particular has the same. Finally, southern Africa, Australia, and New Zealand have promising potential as well. The energy resource in waves is quoted as the average annual power per meter wave front [kW/m], which is to say – that if the number 25 kW/m is quoted – the waves at that site have been recorded to have an average of 25kW/m power content over a year or whatever length the recording represents. As this is an average there will be days with next to no power in the waves but also times when the wave power is orders of magnitude greater. This large variation between extremes puts great strain on any wave power device to be efficient in the small waves and survive in the large ones.